This is a portable 2-in-1 HotSync and charge cable for your PDA. It is ideal for professionals who need to charge and synchronized data between their PDA and computer. Due to its portability and light weight it is suitable for frequent travelers. Next time you travel, save space by packing a Hotsync cable instead of a cradle and the heavy international AC adapter. You'll be able to back up your data, charge your PDA and still have room for souvenirs. 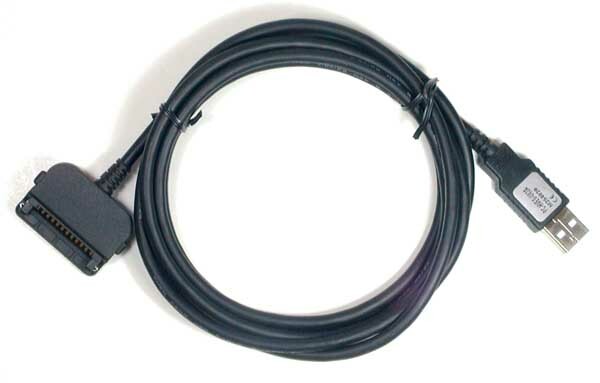 Synchronize your Handspring(tm) handheld with any laptop or desktop PC by plugging this portable cable into any USB port on your computer. It's the quick and easy way to back up your data. Extra long 6 feet cable makes the connection convenient and easy. Data Synchronization and Power Charger 2-in-1 function. 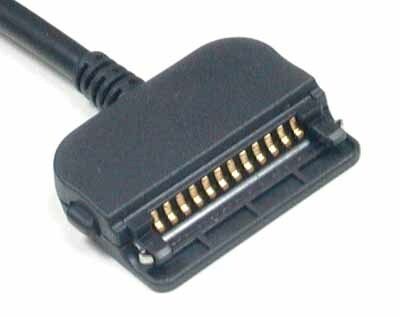 Push the tabs on the side of the connector to securely attach/detach the cable to your PDA. Compatible with USB specification Ver 1.1. Compatible with Handspring EDGE PDA. This cable has been tested by manufacturer to make sure it is fully functional. High quality gold plated contacts ensure reliable operations every time. Seller provides 1-year warranty (under normal use; replace, repair or refund at seller's sole discretion) from the day of purchase.